After a tiring night singing karaoke with friends till your throats get hoarse, a hearty supper is surely on the agenda. Great supper food is warm and comforting, rarely healthy, and preferably comes with a nice atmosphere to chat the night away. 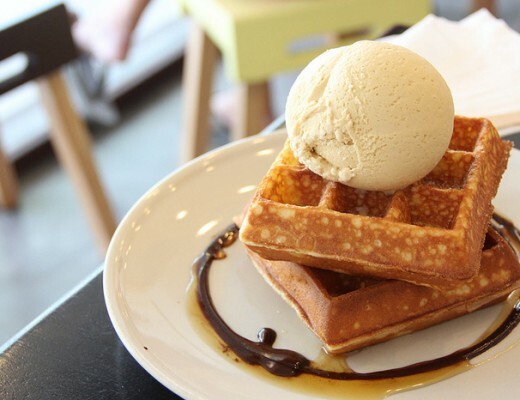 From Kovan to Punggol, there is a myriad of substantial supper spots in the North-East. Here’s just 10 to whet your palette late into the night and help decide where your next supper feast is going to take place. Hokkien mee stalls are aplenty at Chomp Chomp Food Centre, but Ah Hock Fried Hokkien Mee is by far and away the most popular. While its appearance is unremarkable, the Hokkien Mee ($3/$4/$5) has strong wok hei and gravy with a deep seafood flavour. These are hallmarks of a great plate of Hokkien mee, so it’s no surprise there’s a perennial lengthy queue. Chomp Chomp is one of the premier supper spots on the island, so try and get there early if you want a seat to gobble up your satay and Hokkien mee! 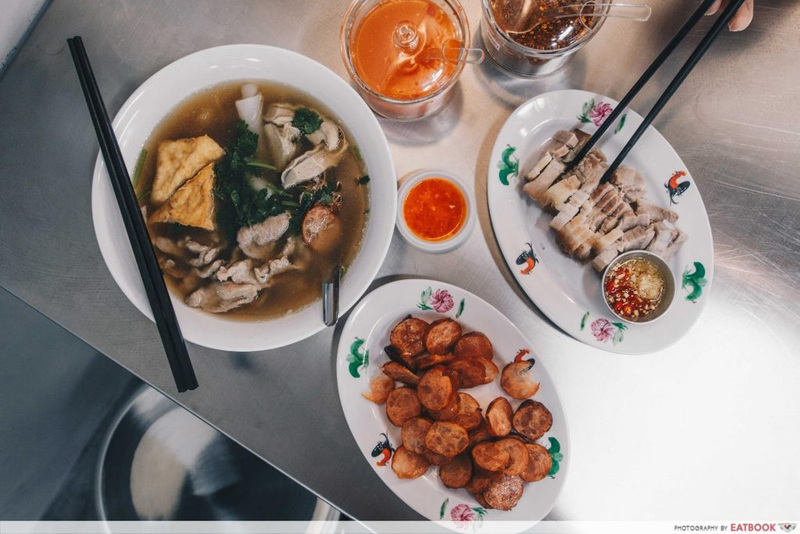 Upper Serangoon Road is a hub for late-night supper spots, and Heng Long Teochew Porridge is first up among those. The warmth of a comforting bowl of Teochew porridge and braised meat is terrifically satisfying on a cool night – perfect for recovering after an arduous karaoke session. Among our favourites are the kway chap-style items, such as Braised Duck ($5), Braised Pork Belly ($4) and Intestines ($4). For veggies, staples such as Braised Cabbage ($2) and Sauteed Spinach ($2) won’t let you down. Roti prata is a Singaporean supper favourite, and there’s a bevy of 24-hour prata spots all over the island. 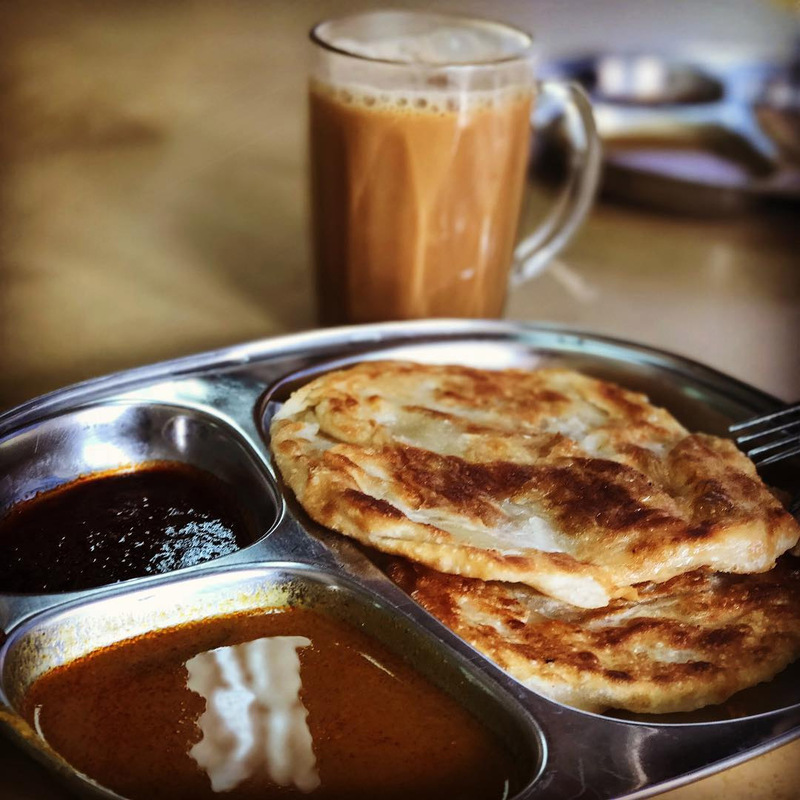 Al Falah is one of the most popular joints in the North-East, especially for those who love their prata crispy. Their shattery Plain Prata ($1) is best coated with tangy fish curry, and their Plaster Prata ($1.50) provides a gooey egg yolk affair. Apart from prata, other Indian supper classics like Maggi Goreng Pattaya ($6) – a guilt-inducing but oh-so-good omelette-wrapped maggi goreng – are available as well. 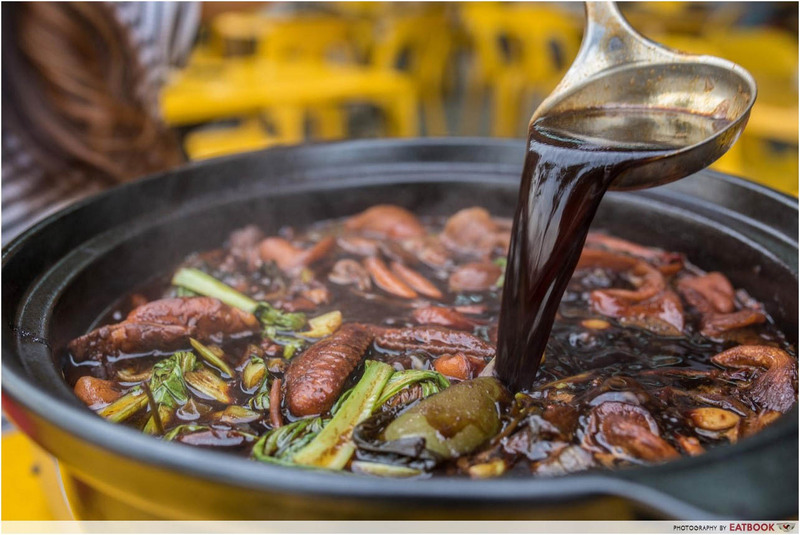 If you want a comforting spicy hot pot to quell your post-drinking hunger, this bubbling black cauldron is for you. This Kovan stalwart’s eponymous Qi Xiang Chicken Pot ($26.90 for half chicken, $37.90 for whole chicken, $25.90 for two drumsticks) foregoes the usual light and clear steamboat stock with a thick and meaty dark soy sauce broth. The spice level is customisable, and even at “normal” it won’t burn a hole in your gut like ma la xiang guo would. The chicken that comes swimming in the broth is fall-off-the-bone tender, but if that isn’t enough for you, augment your meal with vegetables and noodles for $2.90 per portion or pork and beef at $5 per portion. Check out our full review of Qi Xiang Chicken Pot! A picturesque waterfront bistro serving Modern European fare, Just The Place is just the place to ring in a chill weekend. 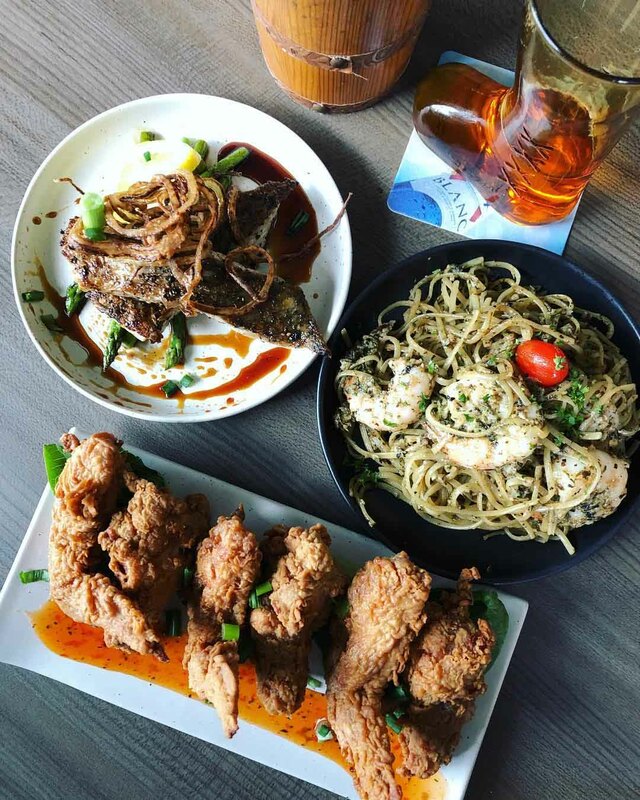 Located in the tranquil Punggol Settlement, chow down on everything from brunch items like French Toast ($8.90++) to mains like Seafood Marinara ($22.90++). The French Toast is good value in particular, with three thick and fluffy brioche strips showered in maple syrup and partnered with berry compote and vanilla ice-cream. Or you could spend the evening with your buddies, accompanied by a mug of beer and bar grub from the Just Platter ($19.90++), which contains truffle fries, Cajun mid-wings, crispy prawn twisties and sweet potato croquettes. 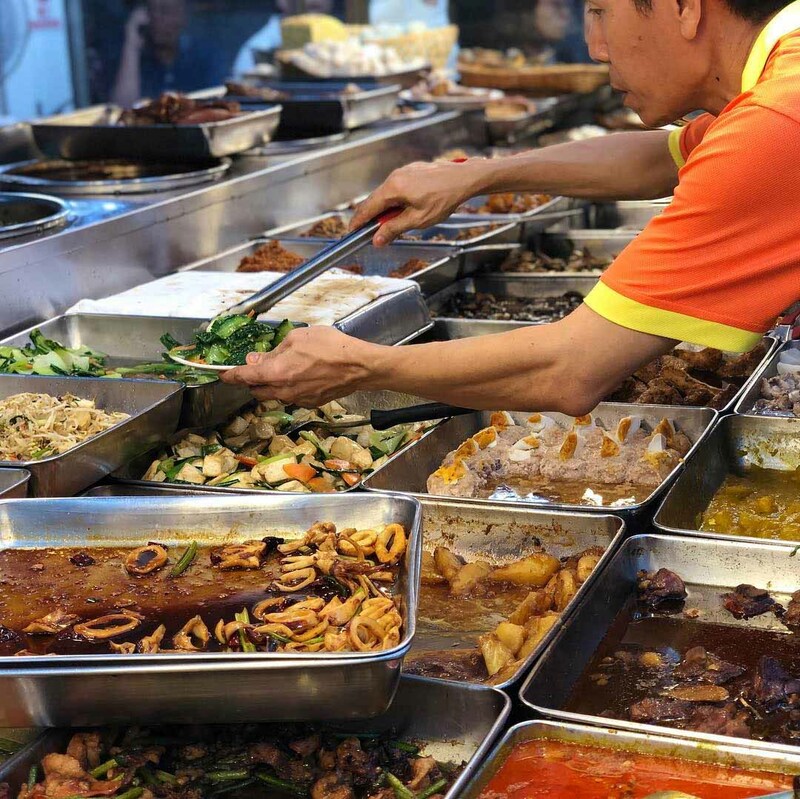 Nasi lemak is usually seen as a Malay dish, but Ponggol Nasi Lemak Centre draws snaking queues that reach the pavement every evening with their Chinese-style nasi lemak. 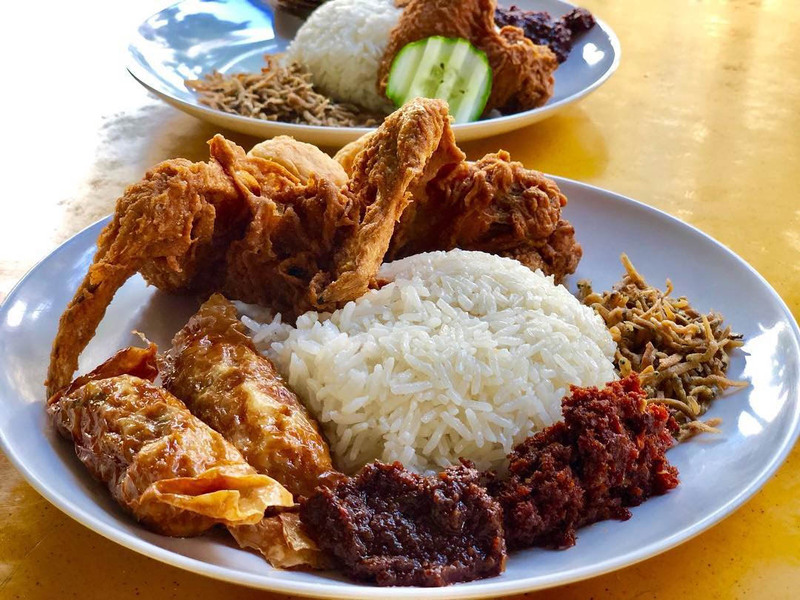 A basic plate of fragrant Jasmine rice-based nasi lemak, ikan bilis, sunny side up and a fried chicken wing will set you back $4. But for the full experience, add some of their cai fan-style dishes like long beans and braised cabbage. Their standards are unerringly consistent, and the rice has just the right blend of texture and coconut flavour. 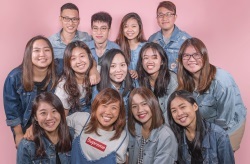 Also located at the scenic Punggol Settlement, channel your inner Japanese salaryman and head to Izakaya 95 to eat, drink and unwind late into the night. 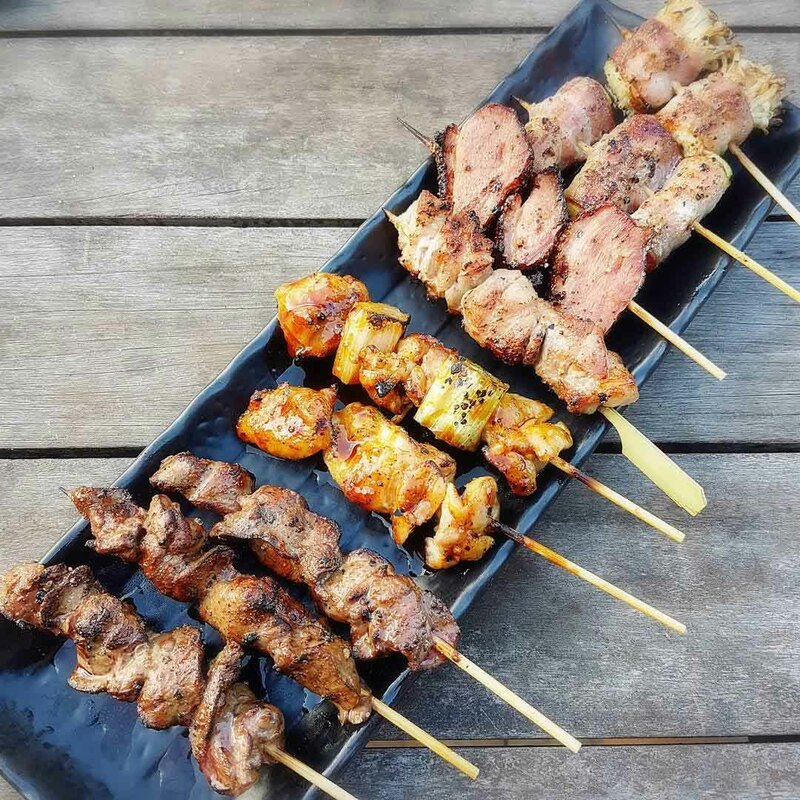 We usually associate izakaya food with yakitori such as Chicken Skin Skewer ($3++) and Pork Belly Skewer ($5++), but there’s a much wider selection here. From sashimi and tempura to hot pots and grilled meat, the menu reads like a textbook on Japanese dishes. If you want to impress a date with more than just the view, get the sumptuous Foie Gras Fried Rice ($15++), which is perfumed with wok hei and chunks of buttery foie gras. Sin Chie Toke Huan is a veritable institute of Traditional Hainanese Curry Rice. It’s not often that cai fan stalls can pull in long queues of customers right from opening time, but this curry rice draws North-East residents like flies to honey. The curry itself is mild, but flavours each grain of rice with its distinct aroma. 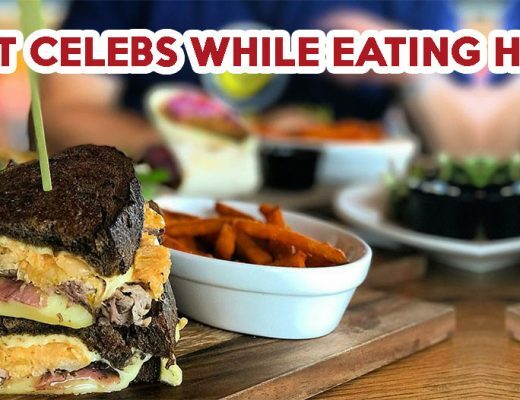 We recommend pairing it with their Braised Cabbage, which still retains a nice crunch, and Prawn Paste Chicken which is crispy on the outside and juicy within. 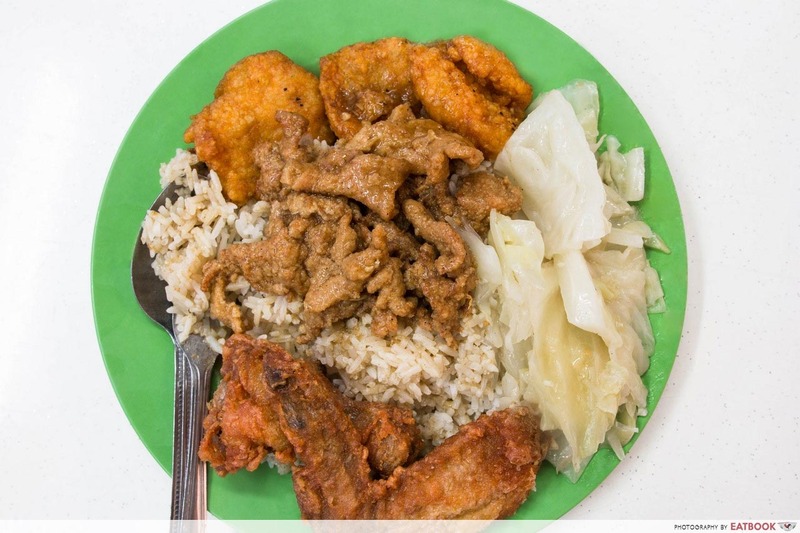 A plate of one vegetable, two meats and a fish dish totals up to $6.50, so don’t expect to find Singapore’s cheapest cai fan here. Check out our full review of Sin Chie Toke Huan! Kway chap isn’t exactly the first dish that pops to mind when we think of Thai food, but Yaowarat Thai Kway Chap is the only dedicated Thai kway chap stall on the island. Unlike our local kway chap, this rendition comes with a clear and peppery soup, as well as noodles that peculiarly come rolled up. To try all of their specialities in one bowl, get their Signature Thai Kway Chap ($5), which comes with tau pok, fish sausage, pork slices and offal. The fish sausage is especially noteworthy. Eat it quick to enjoy its firm bite and savoury-sweet flavour profile that’s reminiscent of lup cheong. Check out our full review of Yaowarat Thai Kway Chap! Chomp Chomp and East Coast are the places that usually come to mind when we think of a good plate of barbecue Sambal Stingray. 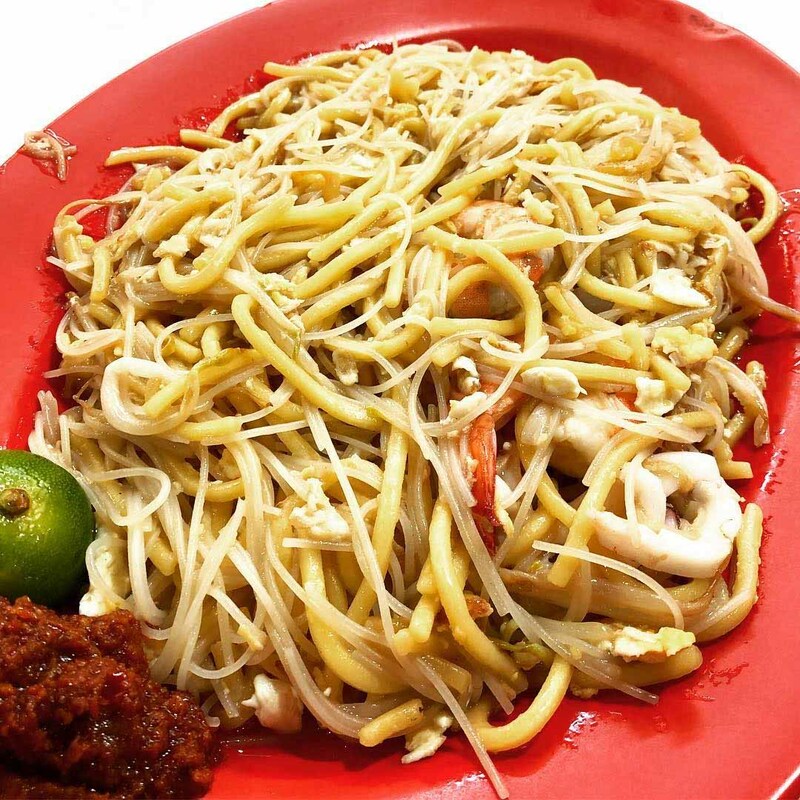 However, Hougang natives will tell you that 78 Seafood is just as good for this spicy seafood delicacy. 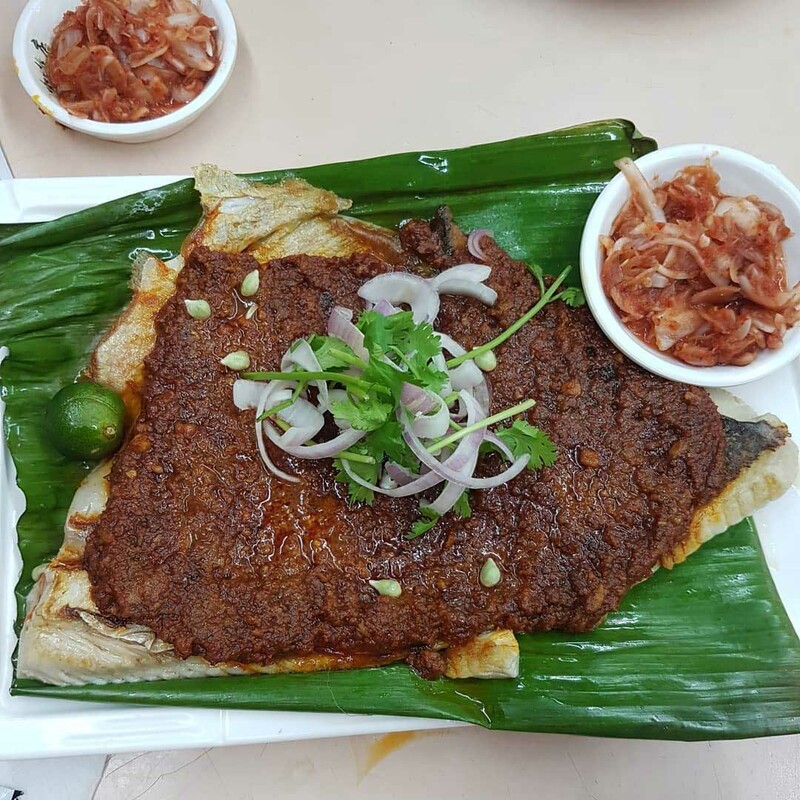 The thick layer of sambal is fiery and robust, while the fish itself is smoky and soft. Eaten with a generous dose of sour and salty cincalok, you won’t stop eating this stingray regardless of your sambal-induced sweat. Prices are seasonal, but expect to stump up around $15 for a medium portion. As someone who stays at the other side of Singapore everything north of Serangoon is basically Narnia to me. Despite that, these tantalising supper spots are tempting enough for me to travel for a taste. 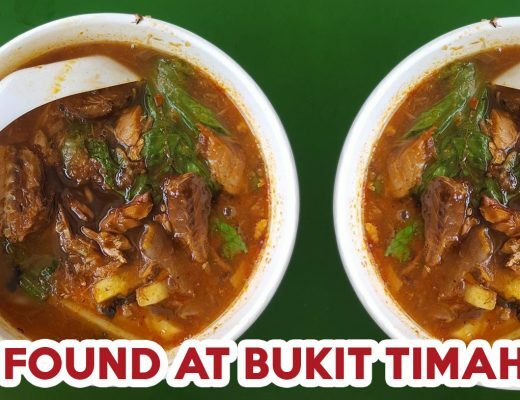 For more supper spots that don’t require you to make the journey to the North-East, take a look at our 10 late-night supper spots that aren’t dim sum or prata and 10 Geylang supper spots. Share some more of your favourite supper spots with us in the comments below.